Scientists find that a combination of THC and CBD – the two most well-known cannabinoids – is as effective as existing drugs for preventing migraine. This post from Medical News Today discusses the study at the bottom of this finding. Cannabinoids are just as effective as existing drugs for the prevention of migraine. For cluster headache, however, cannabinoids may only benefit patients who have experienced migraine since childhood. These are the findings of a new study recently presented at the 3rd Congress of the European Academy of Neurology, held in Amsterdam, the Netherlands. According to the Migraine Research Foundation, migraine is the third most prevalent illness across the globe, affecting around 1 billion people. In the United States, more than 38 million children and adults experience migraine. Some people simply consider migraine as a “bad headache,” but it can be much more serious. 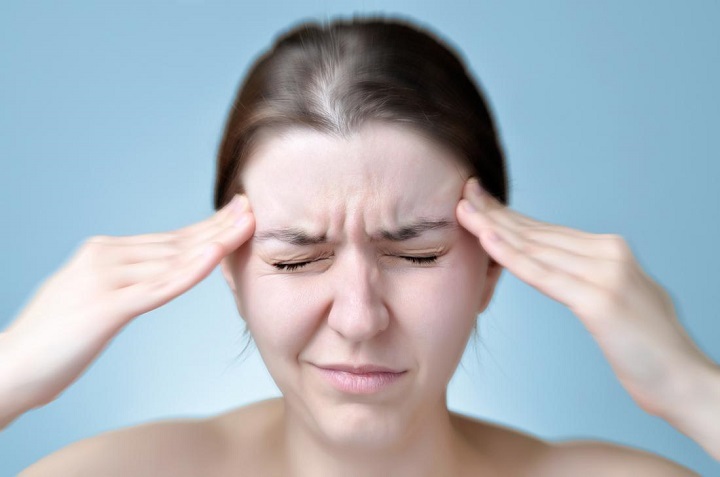 Migraine attacks normally involve a severe, recurrent throbbing pain on one or both sides of the head, which can last anywhere between 4 and 72 hours. These attacks may be accompanied by other disabling symptoms, including dizziness, nausea, vomiting, light sensitivity, and tingling or numbness of the face or extremities. Cluster headache is defined as the onset of brief but very painful headaches that can strike several times per day. Pain normally occurs on one side of the head, usually in or around one eye. Cluster headache is much rarer than migraine; the World Health Organization (WHO) estimate that cluster headaches affect fewer than 1 in 1,000 adults worldwide. Previous studies have suggested that cannabinoids – which are the chemical compounds in marijuana – may help to treat headache disorders. For the new research, study leader Dr. Maria Nicolodi, of the Interuniversity Center in Italy, and colleagues set out to investigate this association further, by assessing the efficacy of cannabinoids in the treatment of migraine and cluster headache. The first phase of the study included 48 adults with chronic migraine. Participants were given varying doses of a combination of two compounds. One compound consisted of 19 percent tetrahydrocannabinol (THC), the primary psychoactive component of marijuana, while the other compound contained 9 percent cannabidiol (CBD), another active marijuana compound. The researchers found that when adults were given the THC-CBD combination at a dose of 200 milligrams or greater, their acute migraine pain fell by 55 percent. THC-CBD at doses under 100 milligrams were found to have no effect on acute pain, the team reports. The second phase of the study included 79 patients with chronic migraine, alongside 48 patients with cluster headache. Chronic migraine patients were given either 25 milligrams of amitriptyline, an antidepressantmedication often used to treat migraine, or 200 milligrams of THC-CBD every day. Patients with cluster headache were given either 200 milligrams of THC-CBD daily or 480 milligrams of verapamil, which is a calcium channel blocker often used for the treatment of cluster headache. When patients experienced acute pain, they took an additional 200 milligrams of THC-CBD. The treatment duration for both chronic migraine and cluster headache patients was 3 months, and patients were monitored for a further 4 weeks after treatment ceased. THC-CBD led to a slightly greater reduction in the number of migraine attacks, compared with amitriptyline, with a reduction of 40.4 percent and 40.1 percent, respectively. Among patients with migraine, THC-CBD was also found to reduce acute pain intensity by 43.5 percent. For patients with cluster headache, however, THC-CBD was only effective against acute pain among those who had experienced migraine in childhood. Based on their results, the researchers conclude that cannabinoids are just as effective as existing medications for preventing migraine attacks, but that their benefits may be limited for patients with cluster headache.